Between dinner, speeches and endless formalities, there’s a lot going on during your wedding reception. So, where does the first dance fit in? The best time to hit the dance floor is at the beginning of the night! While your guests take their seats, you’ll have time to freshen up. You’ll want to adjust your clothing, reapply your lipstick and make sure your teeth are clear from the delicious hors d’oeuvres you had during cocktail hour. 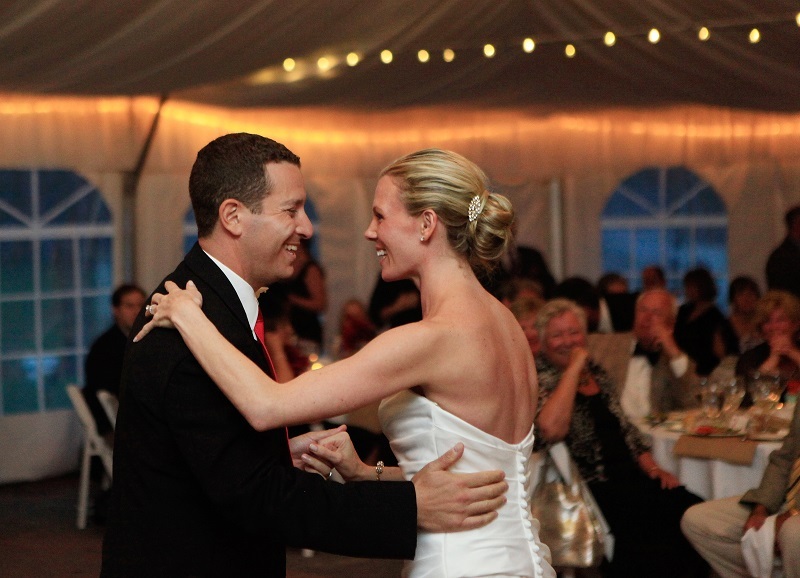 Once everyone’s settled, the emcee will kick the party off with introductions leading you seamlessly into your first dance. Dancing early in the night will save you from a prolonged case of the butterflies and give you a chance to perform before you have too many cocktails. After you’ve wowed your guests on the dance floor, you’ll be able to relax and enjoy a delicious meal without a worry in the world!